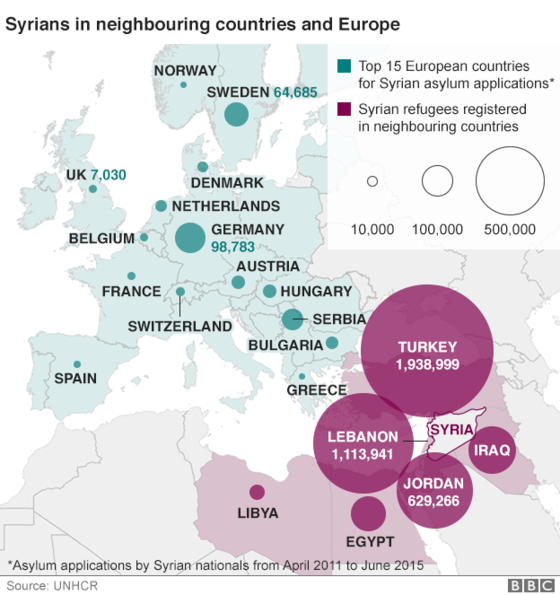 Scooper - Technology News: Could refugees boost entrepreneurship in Germany? Could refugees boost entrepreneurship in Germany? Syrians Hiba Albassir and her husband Khaled arrived in Germany two years ago with only the bags they could carry. But that didn't stop them from setting up their own business. "Starting with nothing is not very easy, but just sitting around and doing nothing is much harder," said 48-year-old Albassir whose company "Khashabna" - meaning "Our Wood" in Arabic - sells hand-made garden furniture imported from their former warehouse in Damascus. The Global Entrepreneurship Monitor finds that despite a recent start-up boom in certain areas such as Berlin, Germany still has a relatively low level of entrepreneurial activity compared with other industrialised economies. "In Germany the culture prevails that if you fail, it's not easy to shake off the stigma," said Sternberg. Michael Huether, head of Germany's IW institute, warns that a lack of high-tech start-ups and a tendency towards risk aversion could hurt economic growth in the medium-term. Breakthrough innovations are almost always made by start-ups or young, rapidly growing companies. Established corporations often have little interest in innovating, so as not to devalue their investments in existing technologies, Huether said. During the 1960s and 1970s, German industry recruited large numbers of "guest workers" from Turkey, North Africa and the former Yugoslavia. However, as technically temporary residents, they came to work in low-skilled jobs at German firms and not to establish new businesses. "Being self-employed is very popular. Arabs are able tradespeople," said Cologne-based Syrian lawyer Oussama Al-Agi who advises Arab entrepreneurs who want to set up firms in Germany. The experience of immigrants from eastern Europe shows they often struggle to get jobs that match their skills as employers don't recognise their qualifications. Rather than be shunted into lower paid work, they choose self-employment. "I like the entrepreneurial way of things," Alfawakheeri said at a workshop in Berlin aimed at showing refugees how to start companies. "I failed once and I am willing to fail again until I can make something work." "I think a lot of Syrians won't need my inspiration. They'll just do it because it comes from within. Syrians can't sit around and just do nothing."